Buiilding on the runaway success of Gamakatsu's EWG bass hook, the EWG Treble Hook features a telltale Extra Wide Gap designed to hook and hold timid biters. 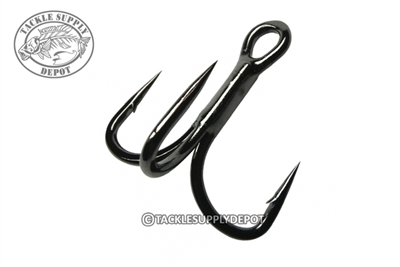 Another excellent replacement hook for any of your favorite hardbaits. Treble hooks are necessary for any lure that can be attacked from different angles by and the Extra Wide Gap design allows a deeper penetration in the fishes mouth for a better hold.